As you cross holiday shopping off your list, this is also the season to help others by giving your time and energy to make a difference. I recently met Teckla Persons, a Peace Corps recruiter, and she shared some great service opportunities for motivated changemakers to immerse themselves in a community abroad, working side by side with local leaders to tackle the most pressing challenges of our generation. 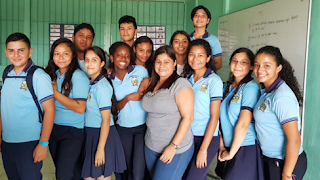 So as you think about wrapping up the semester, whether a December gradauate or upcoming May graduate, consider these five reasons Teckla shares below to join the Peace Corps after graduation. 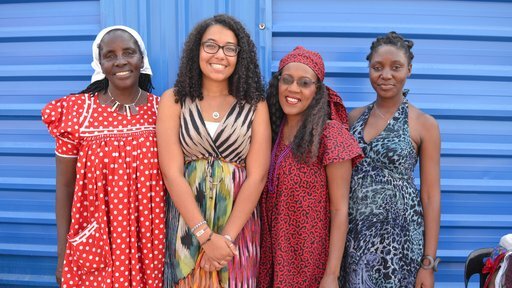 Serving in the Peace Corps is a unique opportunity to help a community overseas and build lasting relationships. It is also a way to launch your career and further your educational goals. This year, there are five alumni from Hofstra serving in Indonesia, Lesotho, Morocco, Senegal, and Tonga. Could you be next to join the more than 182 alumni who have already served? 1) Make an impact in a community that needs someone with your skills. Peace Corps has open volunteer positions in more than 60 countries each year, and each of those positions has been requested by a community that identified a project that would benefit from the volunteer’s involvement. Do you have an interest in working with youth and experience with tutoring? Education is the program area that has the largest request for volunteers worldwide, and there are education positionsavailable to applicants from a wide variety of educational and professional backgrounds. If you have a green thumb, or small business experience, or a passion for community health outreach, we have plenty of opportunitiesfor you as well. Learn more about how your skills might fit a community’s needs by reading about What Volunteers Do. 2) Boost your resume with language and technical training. Once you arrive in your country of service, there are several months of training with other new volunteers before you move to your host community and begin working. Peace Corps training is intense: you learn a local language, technical skills for your new job, cultural norms to help you fit into your new community, and health and safety information. Trainees typically live with host families, so you will have the chance to start making local friends right away. And after pre-service training has ended and you begin service, there are opportunities to continue your professional development through in-service training and ongoing support from Peace Corps staff. Learn more about our training HERE. 3) Reduce your student loans. Student loans do not have to prevent you from serving in the Peace Corps – in fact, service can make you eligible for deferment, partial cancellation, income-based repayment, or loan forgiveness. Peace Corps service is also considered qualifying employment for the Department of Education’s Public Service Loan Forgiveness Program, which forgives the remainder of certain federal loans after 120 monthly payments are made under a qualifying repayment plan. Under a qualifying repayment plan, your payments could be $0 per month while volunteering. Benefits depend on the type of loans you have, so visit our websiteto learn how to get specific information. 4) Get help paying for graduate school after service. If you are planning to go to graduate school and trying to decide whether to serve in the Peace Corps or apply right away, consider this: our Coverdell Fellows program offers graduate financial aid to returned Peace Corps volunteers, including tuition reduction, full scholarships, stipends and assistantships at over 120 participating universities around the country. 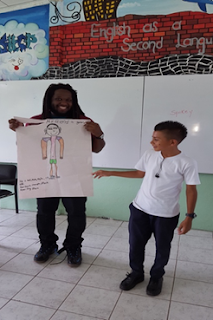 In addition, as a Coverdell Fellow you will have the opportunity to build on the skills you learned as a volunteer and continue your service through internships in underserved communities. Learn more about the Coverdell Fellows program and see a list of participating schools HERE. If you ask returned volunteers about the best part of service, many will mention the close relationships they formed with host families, coworkers, students, and friends in the community. Peace Corps service lasts 27 months, but the friendships that are formed can last a lifetime. Visit the stories sectionof the Peace Corps website to read first-hand accounts from volunteers. . If you are interested in learning more about one volunteer’s bond with her host family, take a look at Clarice’s story. To gain insight into the support network that evolves between volunteers, check out this storyabout three women who grew close during their service after learning that they had all been members of the same sorority. And if you want read more about the relationship between volunteers and community members from the perspective of a local teacher who co-teaches with Peace Corps volunteers, check out Isabel’s story. To learn more about the benefits of service, or to find out what opportunities are available for you in the Peace Corps, join us at an upcoming event, or contact recruiter Teckla Persons at tpersons@peacecorps.gov.